Our polls for Episode 4 are closed. You agreed with the judges and felt that Anthony Ryan Auld deserved the win. Click here to see the results. You disagreed with the judges and thought that Joshua should have been out. Click here to see the results. Episode 5 Preview Video "You've Got Mail"
The designers create edgy, androgynous apparel in a challenge that comes with a twist. Guest judges: Jason Wu and Robert Rodriguez. Suzq sends in a late recap of the USA Today Challenge. Just what we needed - yay! 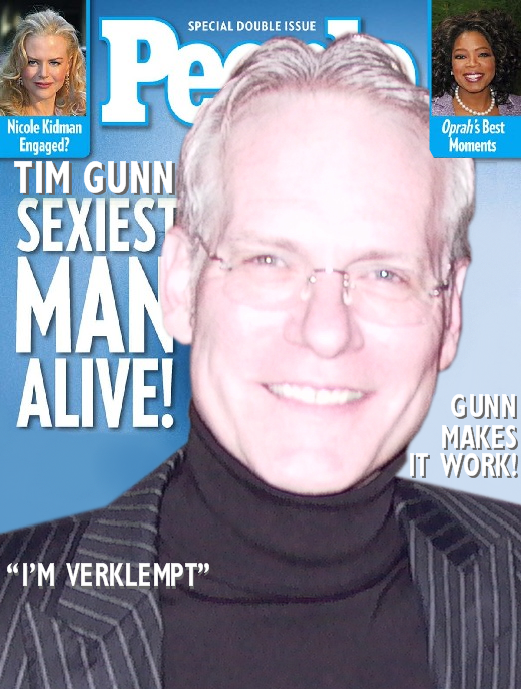 Tim Gunn and Robert Best Talk Barbie! 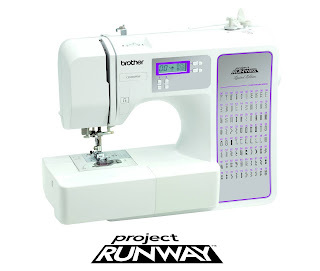 Perhaps a sewing machine for a budding designer? 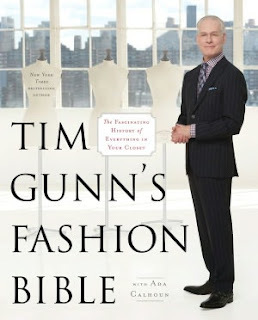 Tim Gunn's Fashion Bible, $17.72 at Amazon.com. Tim Gunn Barbie, $21.99 at Target.com. 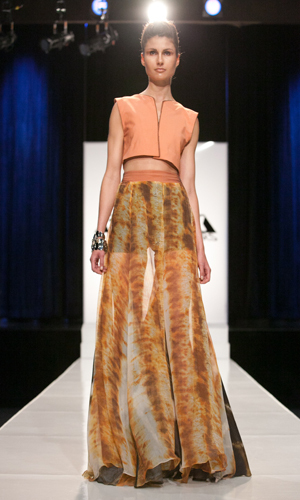 Ivy Higa's butterfly-inspired design has the highest bid right now. With no new episode this week, and everyone busy with holiday plans, this may be a great opportunity to swoop in and win an All-Star design! Click here to see all of the episode 4 auctions and to place your bid. Heidi Klum wore a stunning Alexandre Vaultier gold lace dress to the AMA show last night. Click here for more photos and additional details. And Toyouke send us back home. Thank you recappers, you guys were really feeling it. No new episode on Thanksgiving, so we will see you in two weeks. Check Out Gretchen Jones's Apartment! 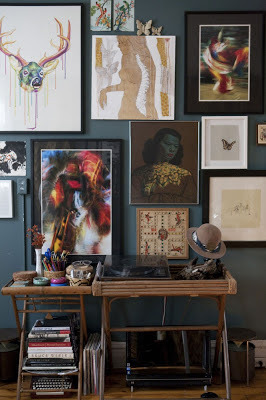 Project Runway Season 8 Champion Gretchen Jones is featured in decor8 this week. Click here for the full story and many more photos. Also, Gretchen has donated this dress to benefit The Center for Fiction, an all-things literary nonprofit based in Manhattan. They are running an online auction in support of the Books for NYC Schools Program, which is working to restock the libraries of schools and youth organizations damaged or displaced by Sandy. Click here to see the auction and to place your bid. 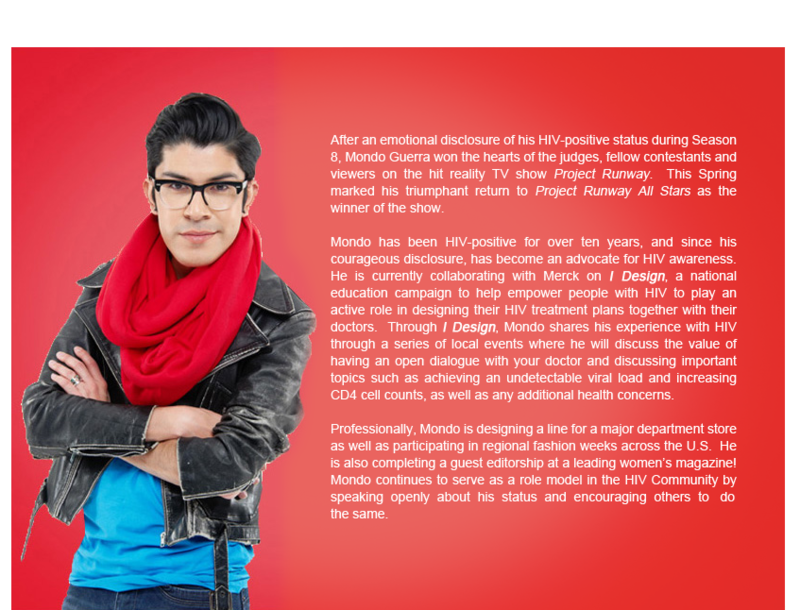 Project Runway All-Star designer, Andrae Gonzalo talks about his experience on the show. 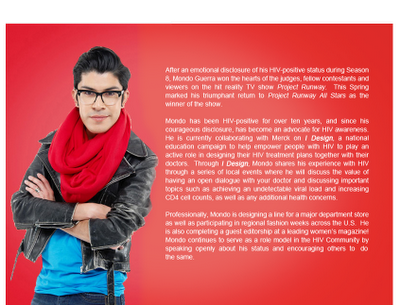 BPR: This is Laura Kluvo from Blogging Project Runway and I'm on the phone with Project Runway All-Star designer, Andrae Gonzalo - Hi Andrae! BPR: Congratulations on making the cast of the All-Stars! BPR: What is the best thing about being an All-Star? Also, being an independent fashion designer is just so difficult and for the first time in the history of the show, the prize is so generous. Just contemplating the possibility of winning the prize... Not just the seed money, but the technology and the equipment and the SPACE. I live in New York and space comes at a really big premium. When you are making your own samples, you need a really big table and space is such a luxury. Just the window - being able to look through that window into the opportunity, that was great. Click here for Andrae's website. "This is one of the biggest things that's ever happened to me at this point in my career," an invigorated Auld said backstage after his win. "It's one of the biggest things I've ever gotten to win." The 29-year-old from Baton Rouge says he was drawn to his reader-submitted photo because he "loved the linear aspects… you could tell it was something that was built, in the way that you build a life, so that's what drew me to the picture." The headline he selected for the photo was fitting: "Always looking forward." He explains: "For me personally, I've had a lot of experiences that I could be very bitter and angry about , but I've just kind of learned that in the end it's not healthy." 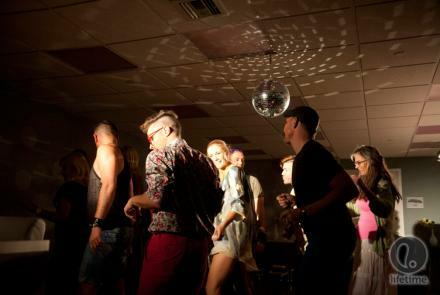 Click here for more photos and the full article. You've seen the designs on the runway and now it's your turn to be the judges. This week you are Carolyn Murphy, Georgina Chapman, Isaac Mizrahi, Charlotte Ronson and Tavi Gevinson. Project Runway All Stars goes interactive this week as the designers attempt to tell a story using USA Today reader submitted photos as inspiration. The BPR party room is here to provide all the inspiration you need to get through this week's episode. All are welcome - simply click on the comment link below to join the party! There is still time to bid on the Episode 3 Auctions. Right now Kayne's design has (by far!) the highest price. 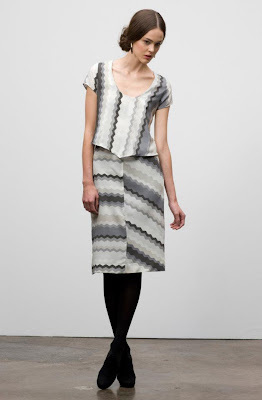 Click here to see all of the designs and to place your bid. Our polls for Episode 3 are closed. You agreed with the judges and felt that Rami Kashou deserved the win. Click here to see the results. You also agreed with the judges and felt that Gordana should have been out. Click here to see the results. 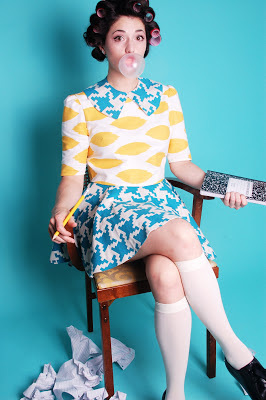 Tavi Gevinson and Charlotte Ronson join Isaac, Georgina and Carolyn for this week's challenge. 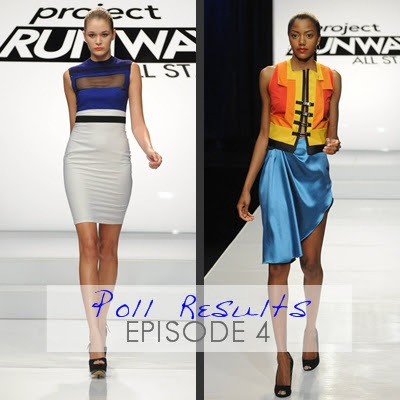 There is still time to vote in our episode 3 poll. Project Runway judge, Nina Garcia, has been promoted from Fashion Director to Creative Director at Marie Claire. Congratulations Nina! Project Runway All-Star designer, Kenley Collins introduces a new collection inspired by the movie "Clueless." 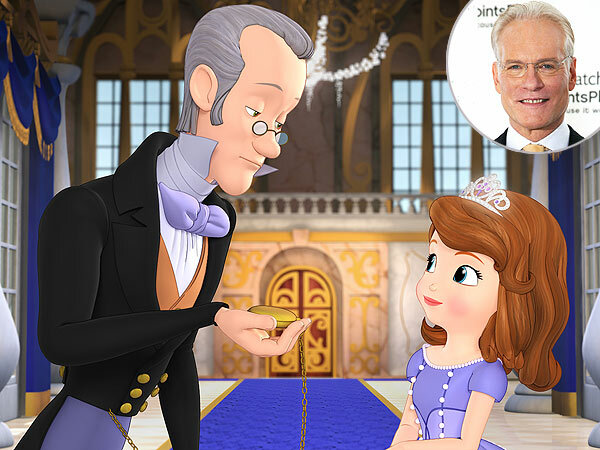 Tim Gunn is the voice of "Baileywick" in the new Disney movie, "Sofia the First: Once Upon a Princess." Tune in Sunday night for the premiere on the Disney Channel. 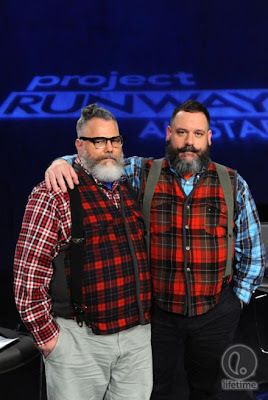 Episode 4 Preview Video - "Made in the USA Today"
Fashion meets social media when images submitted by newspaper readers inspire the all-star clothiers' looks. Designer Charlotte Ronson and fashion blogger Tavi Gevinson are the guest judges. Heidi wore this Versace gown to host the MTV EMA Show in Frankfurt. And Toyouke puts the lid back on the can. Thank you recappers - you are all All Stars in our book. 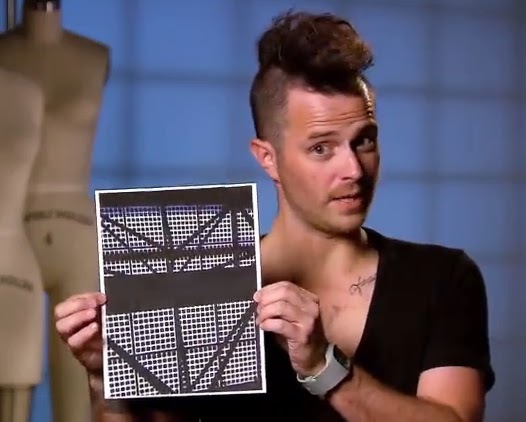 Project Runway All Star designer, Suede, talks about his experience on the show. BPR: Have you watched all of the previous seasons? S: I have to say I did. BPR: So you recognized everyone? S: There was not a single face that I was not familiar with. BPR: Did you watch the episode last night? S: I caught it this morning. I wasn't able to watch last night because we are still having issues from the storm. BPR: Suede, was your home affected by the storm? S: I was actually in the city when it hit. I was supposed to have some business meetings the next day. Those were obviously postponed. We lost power here in Chelsea - that was for a few days. Then I finally escaped to my home in the mountains. Thankfully there was no damage. My kitties were a little bit cold, so we snuggled in front of the fireplace until the power returned. My heart goes out to everyone who has been affected by the storm. Click here to visit Suede's website. You've seen the designs on the runway and now it's your turn to be the judges. This week you are Carolyn Murphy, Georgina Chapman, Isaac Mizrahi, Jeffrey Costello and Robert Tagliapietra. Hello there All Star fans! Time to get out your cans of spray paint as we make a mess out of the BPR blog tonight. It's another new episode of PRAS and all of your favorite friends are here to watch along. Simply click on the comments link below and come on in! Our polls for Episode 2 are closed. You agreed with the judges and felt that Uli Herzner deserved the win. Click here to see the results. You disagreed with judges and thought that Andrae should have been out. Click here to see the results. 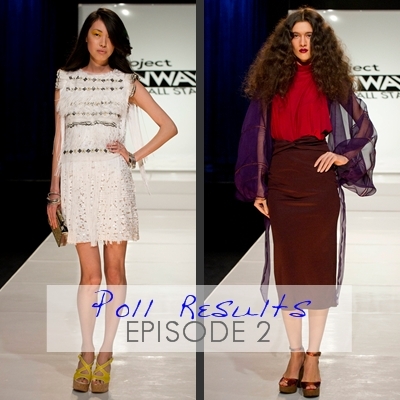 There is still time to vote in the episode 2 polls. The episode 2 garments are now available for your bids. This was one of twelve looks for the country superstar and host of the show. Trivia: Carrie has worn looks from at least three additional Project Runway designers. Episode 3 Preview Video, "Up Your Aerosol"
Project Runway All Stars, Season 2, Episode 3: The designers join forces with graffiti artists to create wearable art featuring spray paint. Guest judges: Robert Tagliapietra and Jeffrey Costello. And Toyouke turns the beat around. Thank you recappers - we'll see you again next week. Have a PRAS recap to share? E-mail the link to Team BPR to join in the looza fun. 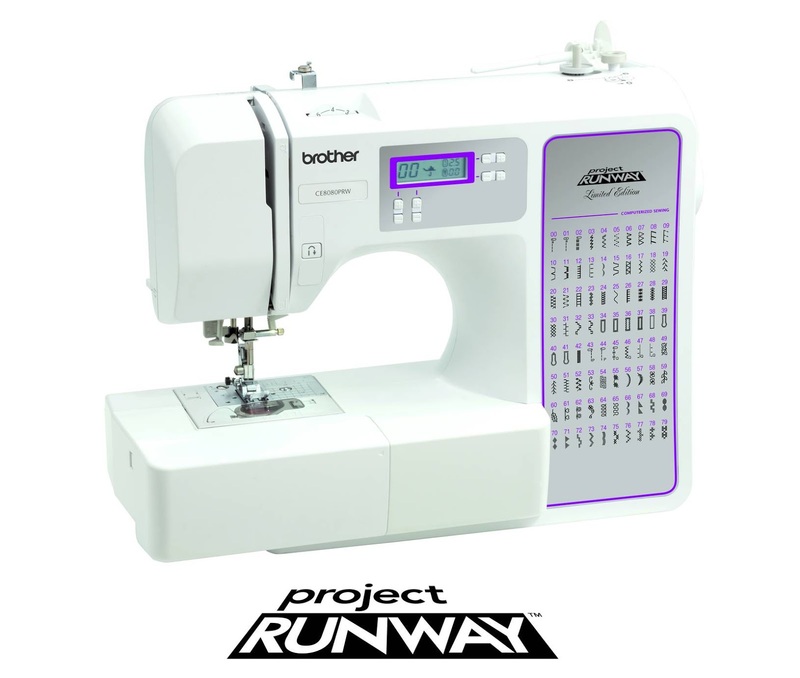 Project Runway All-Stars Season 2 designer, Wendy Pepper, talks about her experience on the show. 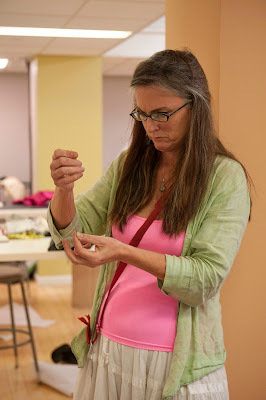 BPR: When you watch Season 1, is there anything that you wish you had done differently? 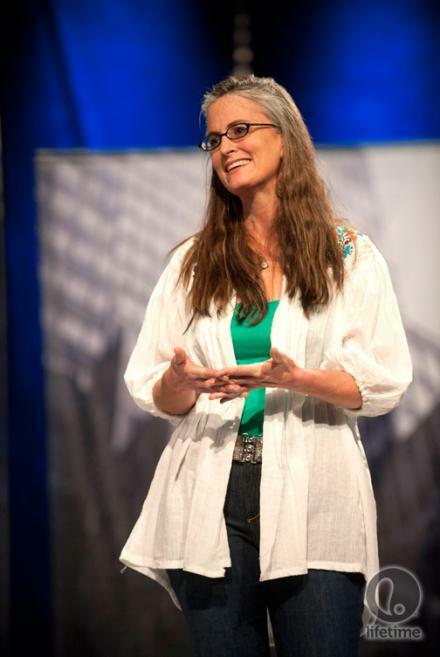 WP: Maybe it's my age, I'm 48, but I see it as a blessing. I love all of the crazy things that I have done in my life. I don't cringe when I watch that season. I kiss the ground. When I watch Season 1, I see my relationship with my daughter. I am caught forever with my daughter. That's what I see. That's what I will always remember from the season. WP: She is 13 and as tall as I am. BPR: I'm sure she is beautiful. WP: Yes, she is. I have grown in eight years, and so has she. She is so proud of me for going back into the ring. This has been one of the more fun aspects of the All-Star experience. I have been able to share it with her again. You've seen the designs on the runway and now it's your turn to be the judges. This week you are Carolyn Murphy, Georgina Chapman, Isaac Mizrahi and Rafe. 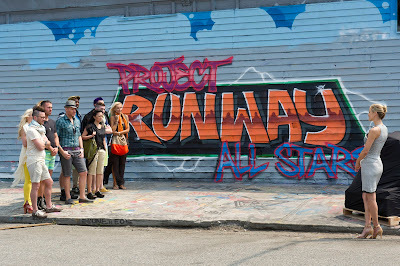 Welcome back Runway fans for another episode of Project Runway All Stars. Tonight, we will have burning questions answered such as "Does Wendy Pepper remember how thread a needle?" It's Episode 2 of Season 2 and the BPR party crew is ready to roll. All are welcome, so simply click on the comments link below to join in. Our polls for Episode 1 are closed. You disagreed with the judges and felt that Ivy Higa deserved the win. Click here to see the results. You agreed with judges' choice and felt that Peach should have been out. Click here to see the results.